Do you desire a career that’s in-demand, rewarding, and offers benefits while not requiring a college degree? Then becoming an EMT may be the right job for you! Emergency Medical Technicians (EMTs) are part of the healthcare industry and help save lives by providing critical services during emergency situations. EMTs respond to emergency calls, assess the patient’s condition, give appropriate emergency care and transport patients to medical facilities. As our population ages, the need for EMTs grows. According to the Bureau of Labor Statistics, employment for EMTs and paramedics is expected to increase by 15% from 2016 to 2026, much faster than the average for all occupations. In addition, EMTs who work for Community Care Ambulance enjoy competitive pay, benefits, training opportunities and a positive work environment. We are leaders in wages, PTO and health insurance. We offer 401K with an employer match and many of our full-time EMT positions include a sign-on bonus! If this appeals to you, read on for how you can become an EMT in Ohio. First, you must successfully complete an EMS training program through an accredited institution. There are several EMS schools in Ohio. Although admission requirements vary, in general, you must be 18 years of age, have a high school diploma or equivalent, and pass a background check. An EMT-basic program typically lasts one semester and includes lectures and labs. The next step is to successfully complete FEMA’s Introduction to National Incident Management System course IS-700 and the Incident Command System course ICS-100. IS-700 provides an overview of the National Incident Management System which defines the comprehensive approach guiding the whole community – all levels of government, nongovernmental organizations, and the private sector – to work together seamlessly to prevent, protect against, mitigate, respond to, and recover from the effects of incidents. ICS 100 describes the history, features and principles, and organizational structure of the Incident Command System. The third step is to pass the National Registry of EMT examination. The two-part exam consists of the NREMT computer examination as well as a multiple station skills assessment test. Finally, submit an application to the Ohio Department of Public Safety. Once approved, you’re ready to work as an EMT! Founded in 1994, Community Care Ambulance is now one of the largest medical transportation organizations in northeast Ohio. We are a non-profit 501 c3 serving Akron, Cleveland and surrounding communities. We are consistently looking for certified EMTs to join our organization. In addition to competitive pay and benefits, we give referral bonuses, attendance bonuses and opportunities for overtime. If you want to advance in your career, we also provide free tuition to eligible team members. For example, EMTs can advance to Medics and Medics can earn a CICP (Certified Intensive Care Paramedic) certification. 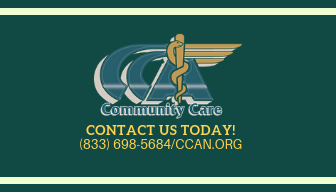 Learn more about the advantages of working for CCA and view current EMT job openings on our website. If you have questions, call us at 440-992-1906.